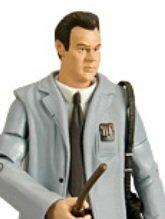 The latest 6 inch figure from Mattel's Movie Masters series features Ray Stantz and the Subway Ghost! Dressed as he appears in the classic television commercial shown in the first Ghostbusters film, Ray Stantz is "ready to believe you!" Armed with the ghost sniffer device featured in the same TV spot, it would later be used by Peter Venkman to check out Dana - um, err, Dana's apartment. This fully articulated, film-accurate 6 inch figure also arrives with Subway Ghost. 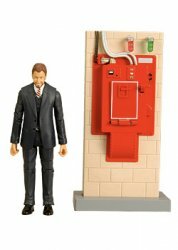 MyMovieMonsters.com also carries other Mattel figures in the Movie Masters Ghostbusters series.